Perfect for creating a relaxing environment, both at home and on the go. Can be used for linens, apparel, furniture and more. 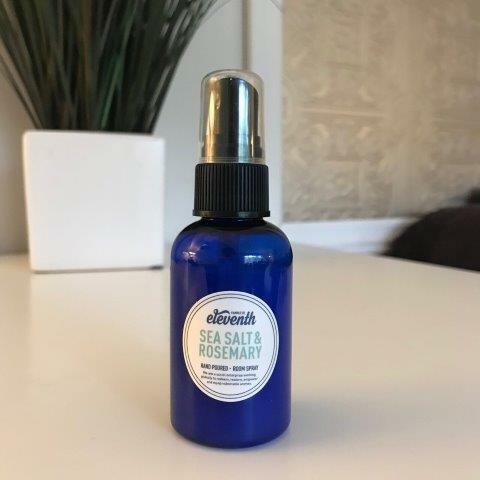 Sea Salt & Rosemary - Refresh with the crispness of rosemary, eucalyptus, and thyme, seasoned with a hint of sea salt and a dash of earthy redwood. Elysian - Crisp citrus notes of blood orange, grapefruit and lemongrass with a hint of floral and the warmth of cedarwood leave you rejuvenated. Amazing Grace - Feel encouraged by the tangy, lively aroma of bergamot intertwined with the uplifting scents found in an English country garden. Honey & Fig - Fill your home with the intimate, soothing blend of sweet vanilla and honey-golden brown sugar, laced with a hint of musk. 2 oz.